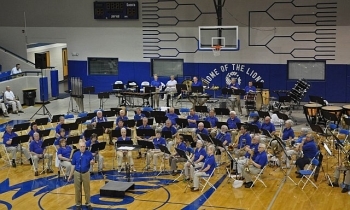 The legal and official name of our organization is the Hot Springs Community Band, Inc. founded in 1975. 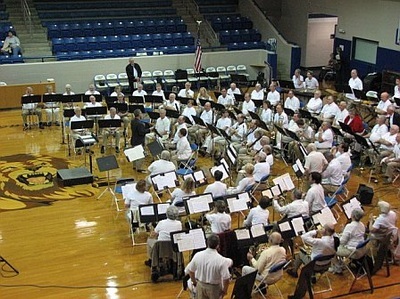 The following musical organizations are directly or indirectly affiliated with the Hot Springs Community Band organization. Some players perform in one or more of the following ensembles, in addition to the Hot Springs Concert Band. The principal performing ensemble of the Hot Springs Community Band organization is the ​Hot Springs Concert Band. 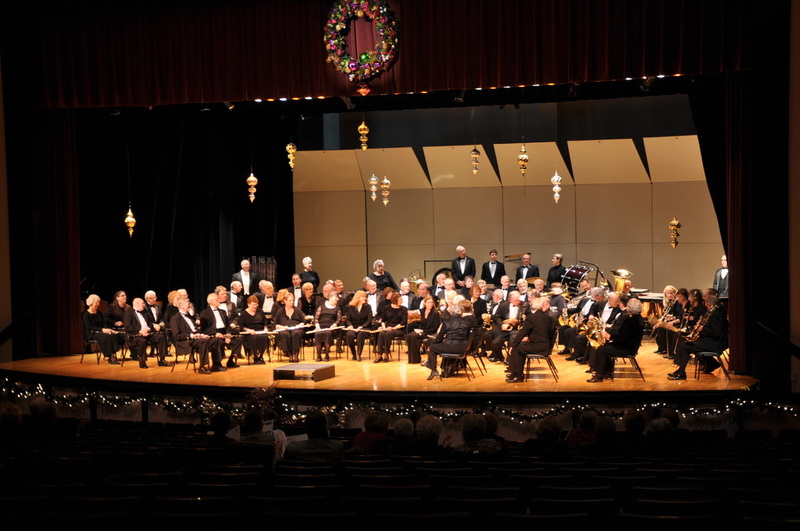 With more than 70 performers, the band is conducted by Dr. Craig Hamilton, Music Director and Principal Conductor. Admission to the Concert Band is based on playing ability and on current openings within the band. 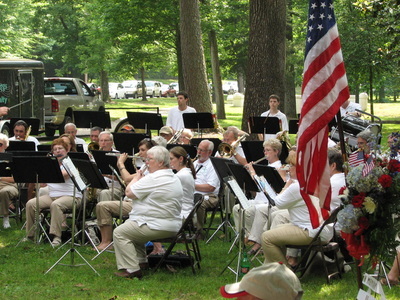 The Concert Band performs year round with a special feature series of Concerts in the Park beginning on Memorial Day and running through July. Click for a listing of future concerts. The New Horizons Band of Hot Springs is ideal for the person who played in school band and now has the time and desire to play their instrument again. 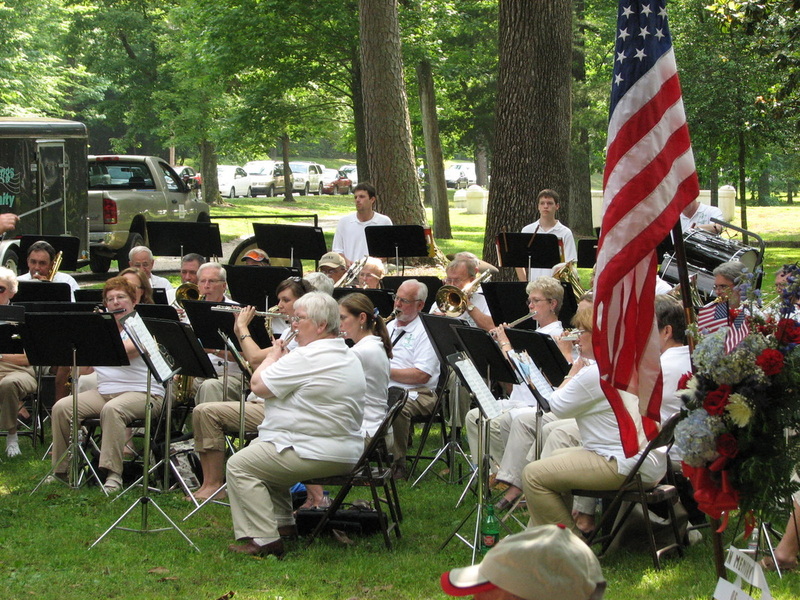 The band performs easy, yet great sounding arrangements of band music in many different styles -- popular, light classical, Broadway show tunes, marches, patriotic and even some sacred songs and hymn tunes. It is especially a great musical group to join if you are a senior citizen, local musicians, returning wounded warriors looking to share their musical interest and ability. Mr. Bill Crook is the conductor of the group. Mr. Crook holds a B.A. in Music degree and is proprietor of Crooks Music Service on Central Avenue in Hot Springs, Arkansas. 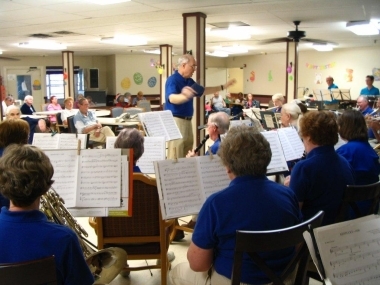 Rehearsals can include musical and instrument instruction by the conductor or members of the Hot Springs Concert Band in a supportive and fun atmosphere. Assistance is also available in locating a private instructor for someone who needs lessons to renew those forgotten playing skills. 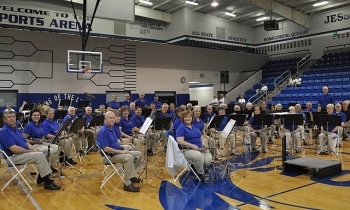 The band is currently composed of about 30 members and performs in a variety of venues around the Garland County area, usually six to eight times a year. The New Horizons Band rehearses for 2 hours on Wednesday mornings at First Baptist Church on Central Avenue in Hot Springs. For more information, please call Mr. Crook at 501-623-2848 (M-F, 10 AM - 5 PM). SERVE our community and humankind by playing music for the residents of assisted living/memory care facilities that research shows is the most appropriate for their enjoyment: songs of their youth including pop songs, Broadway musicals, and film scores; folk songs; gospel numbers; and Christmas carols and secular Christmas songs.